Kuranda Skyrail & Rail ex. 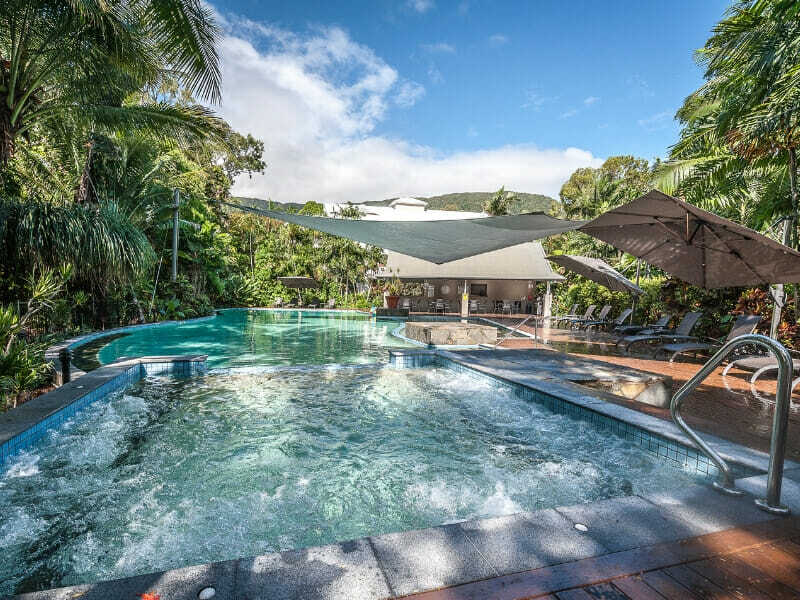 Palm Cove~: Join Skyrail and marvel at the technology that has created the world’s most beautiful rainforest experience! Stop and view Barron Falls, learn more about the amazing eco-system or take a leisurely stroll along the rainforest boardwalk! Check in and be treated to a complimentary bottle of wine & a welcome food hamper when you arrive! Head up to your room, pop the cork and enjoy a refreshing glass or two, along with some delicious snacks! Holidays are the time to indulge and, with a bonus 10% discount on food you can do that with ease! Enjoy a delicious, fresh meal at a gorgeous restaurant without breaking the bank! 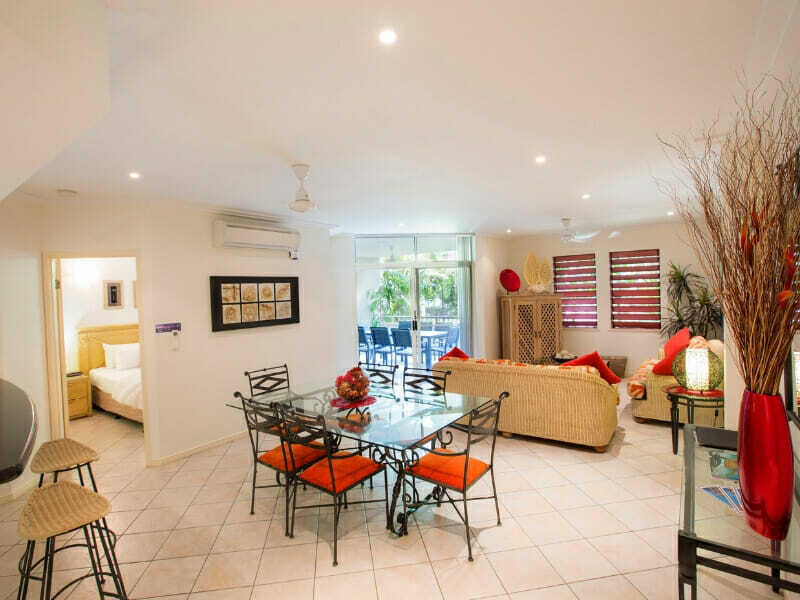 Make the most of your time at the Oasis at Palm Cove & enjoy 3 separate uses of tennis rackets & balls! Practice your tennis skills with no shame, with the court all to yourself & no one to judge! 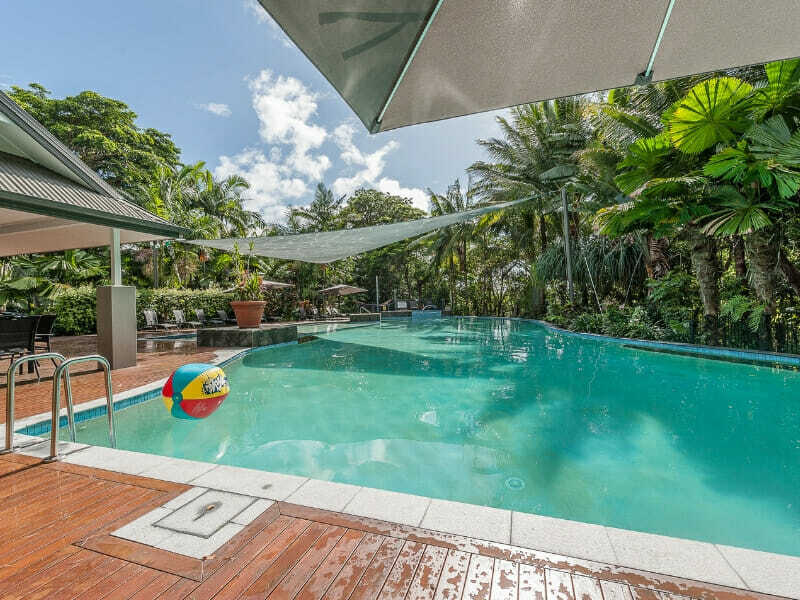 Then head down to the pool, cool down and relax with a swim and enjoy use of the resort pool towels. 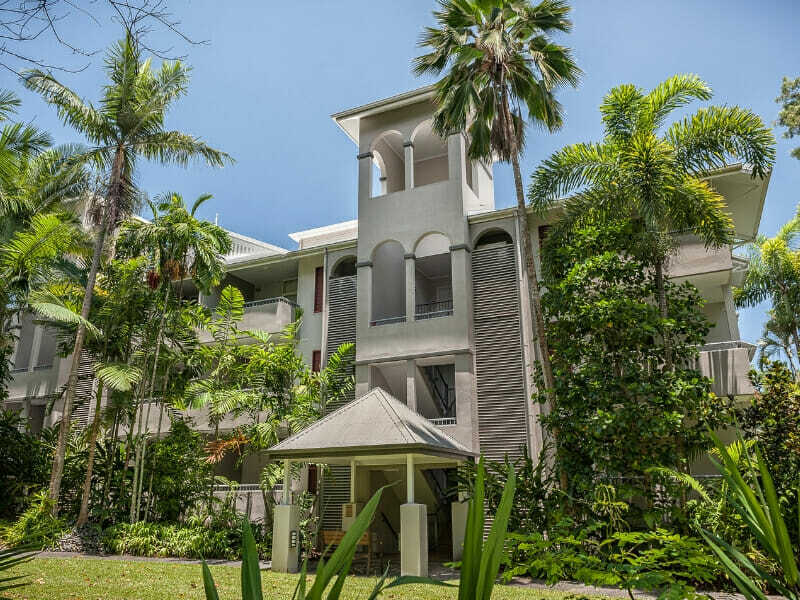 Enjoy private living in a tranquil setting at the Oasis at Palm Cove. 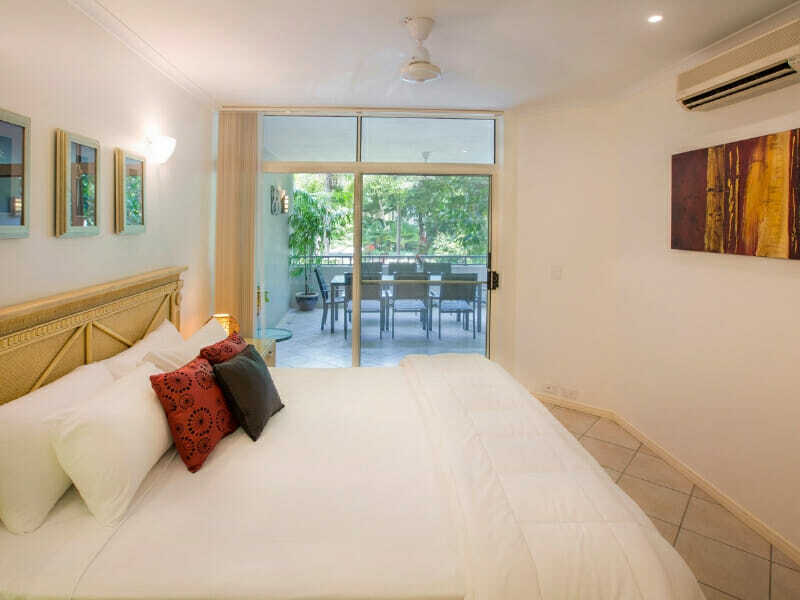 Truly a tropical haven, the resort provides an array of apartment choices and family-friendly facilities. 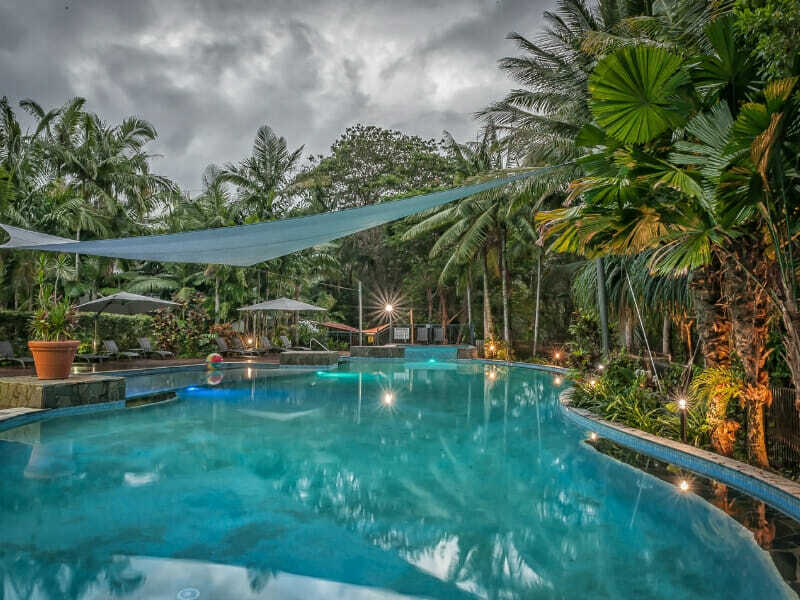 Take advantage of the poolside spa, 25-metre outdoor pool, large shaded kiddie pool, full-size floodlit tennis court, and an entertainment area with BBQ facilities. 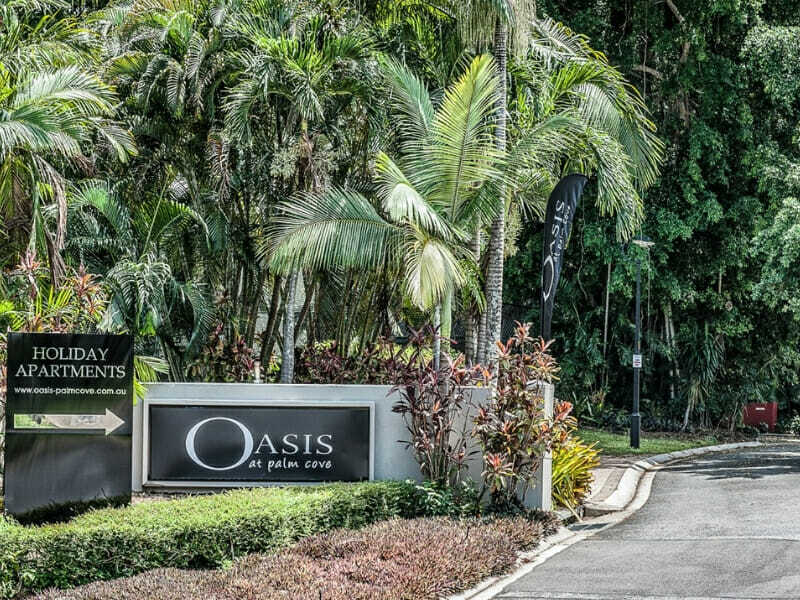 Read more about Oasis at Palm Cove here! ~Kuranda Skyrail & Rail ex. 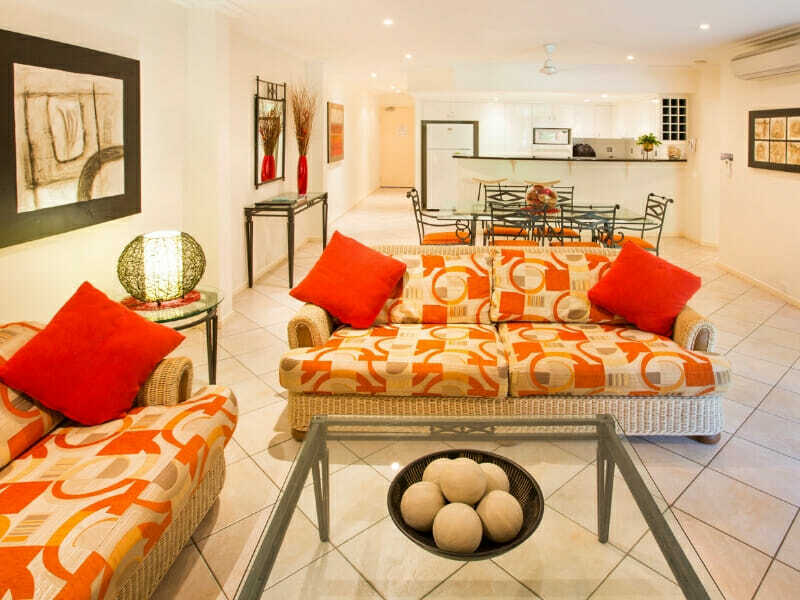 Palm Cove: Make your visit to Kuranda a memorable one from door to door. 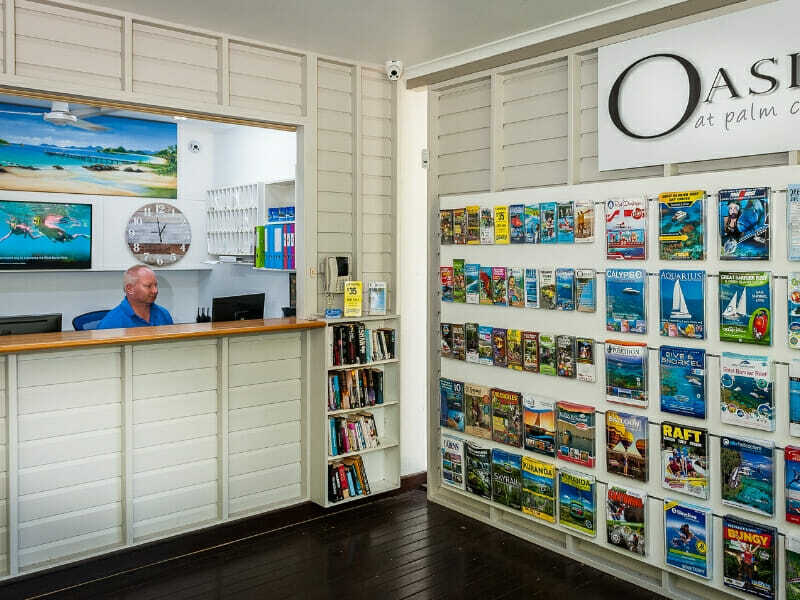 One of our luxury coaches will collect you from your accommodation and transfer you to the railway station to board the Kuranda Scenic Rail. This breathtaking journey on one of the world’s most scenic train routes will take you through hand-hewn tunnels and across bridges with amazing views. Stop at Barron Gorge to view the Falls before arriving at beautiful Kuranda station. At the scheduled time, board Skyrail for the world’s most beautiful rainforest experience. Glide over the Rainforest canopy and take advantage of the two stops enroute to enjoy a walk through the rainforest or visit the CSIRO Interpretive Centre. Your journey ends at Caravonica Lakes where your coach is waiting to take you back to your accommodation. 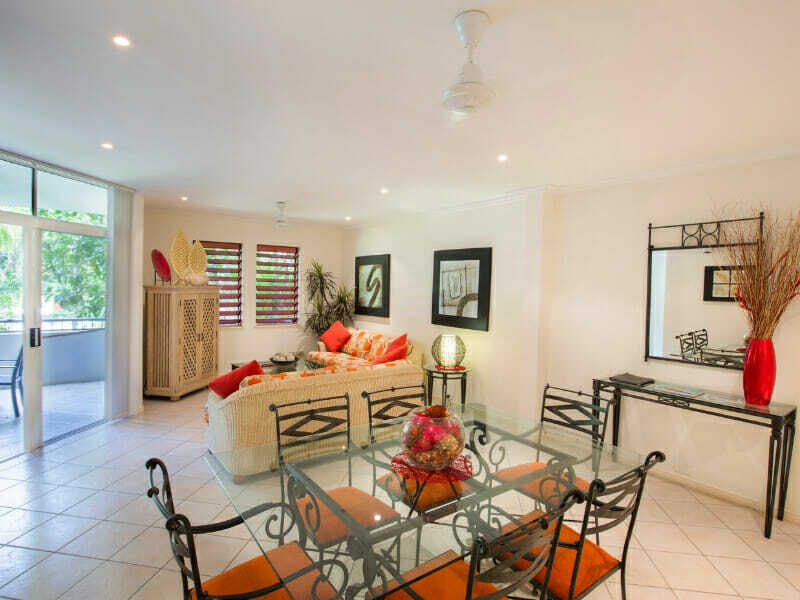 Return Transfers to Northern Beaches Accommodation. Tour Operates Daily except 25th December.